Mental illness - what are applicants required to disclose at interview? Mental illness – what are applicants required to disclose at interview? Mental illness is a very personal thing. Whilst societal stigmas surrounding it have changed, it can still be difficult to talk about even to your nearest and dearest. Employees may be reluctant to open up if they’re struggling with mental illness at work and it can be daunting to discuss gaps in CV’s caused by mental illness when applying for a job. Contributor Jacob Demeza-Wilkinson – Employment Law Consultant – ELAS. Is it legal to be questioned about your mental health during a job interview? Generally no, this would not be legal. Employers should make all efforts to avoid any questions relating to health at the interview stage, particularly in relation to mental health. The main reason being if you do ask the question and the candidate discloses that they have an issue, there is then a very high risk that if that candidate is then rejected for the role, they will link that to the disclosure of their health condition and make a claim for discrimination. The employer then has to spend time and money proving that the candidate was objectively not the best person for the role in order to avoid a successful claim against them. Avoiding the question avoids the potential for a claim. As somewhat of a side note, it is possible to ask candidates about medical issues at the application stage, however, this should only be used to ask if they need any adjustments for the interview process. For example, if a candidate is in a wheelchair they may need assistance in attending the interview, and may need to disclose this prior to the interview. Likewise, a blind applicant may need adjustments made in terms of application forms, presentations etc. or a candidate with Tourette Syndrome may mention it at this point to avoid worrying about tics at interview. Are applicants legally obliged to disclose mental illness during an interview? No, a candidate does not have to mention any medical condition during a job interview. Even if asked, there is no obligation to answer the question. If not, are they legally obliged to then disclose it if they are offered the job? Generally, an organised employer will provide a health questionnaire once a job offer has been made and accepted. The purpose of this form is to see if the incoming employee suffers from any medical condition(s) which could affect their ability to perform the role, and which could warrant adjustments being made to assist them in their role. A simple example could be an employee with ongoing back problems that may need a special chair or someone with vision problems who needs a larger computer screen. Generally you would only disclose conditions that could affect your role, and which may warrant a consideration of adjustments. Employers expect honesty so if there is a reasonable probability that your mental health will impact on your ability to do your job then you should disclose it. Is it breaking the law to not disclose mental illness and then need to take time off as a result? It would not be breaking the law but you do have to be careful. If an employee states in the health questionnaire that they don’t have any medical condition(s) which would affect their work and then takes considerable time off due to an ongoing condition, there is an argument that they have not been truthful. An employer could pull them up on this. If, however, your absence is very limited this should not be a concern. 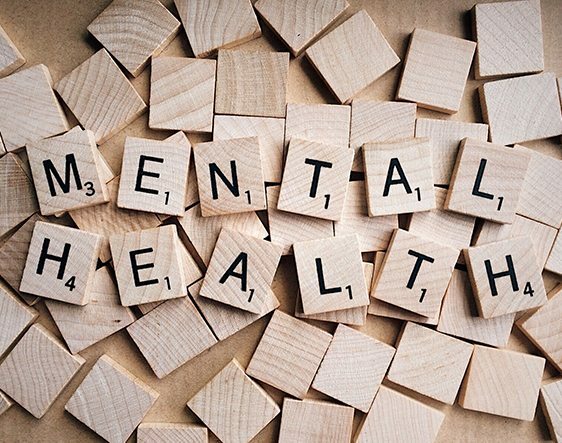 Mental health is high on most employers’ radar these days and there are many things that can be put in place to help support employees with mental health problems, enabling them to stay in work. If employees do not disclose mental illness then it can make it harder for their employers to support them in a timely manner for example, if their work is suffering as a result of declining mental health but the employer is not aware they will just think that the work is not up to standard and take steps relating to that. If, however, the employee has been honest regarding their mental health then there are options that an employer can take such as flexible working, adjusting the workload or extending deadlines, where possible, to reduce the pressure that they are under. How should employers respond if an undisclosed medical condition starts to significantly affect an employee’s attendance? The first and most important thing an employer should do is put in place a robust pre-placement medical questionnaire and accompanying procedure as part of your recruitment practices. Whilst you cannot ask a candidate directly about medical conditions during the interview and overall recruitment process, apart from where necessary to allow a fair interview, after a job offer has been made and accepted it is ok to ask the candidate to disclose any conditions which, they believe, could affect their work. If you have this clear process in place and, further down the line, it comes to light that something should have been disclosed but wasn’t, then you can take action on the basis of dishonesty rather than in relation to the illness itself. If the employee does disclose an illness, whether that’s during the recruitment process or further on into their employment, then it is important to carry out a risk assessment and meet with the employee to discuss the condition. Further medical evidence may be needed, where applicable. Once you have done this then you can put into place any reasonable adjustments that might be needed to assist them in their role. The idea with reasonable adjustments is that, once they are in place, any time off due to the condition should be drastically reduced or eliminated. If the changes you have made do not have the desired effect then it may be time to consider whether the employee is medically capable to continue in that particular role. You should always seek advice before embarking on a medical capability process as it is important that everything is done correctly.